Military Medical Academy’s Clinic for Nephrology organized a symposium dedicated to problems and perspectives of hemodialysis in our country. 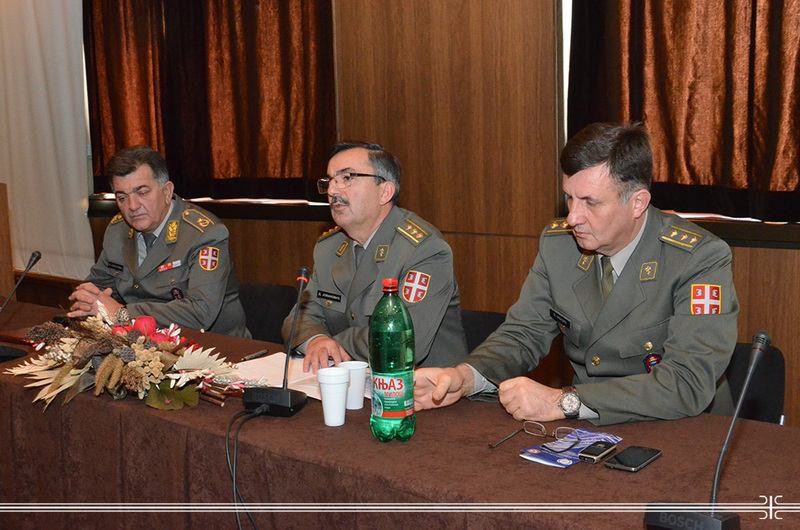 According to MMA Head Brigadier General Prof. Dr. Marijan Novakovic and concerning numerous accompanying pathological conditions and complex clinical situations of all hemodialysis patients, the aforementioned meeting has a significant importance not only for nephrology branch but medicine in general. Continuous training and close cooperation with the other medical branches are aimed at therapeutic procedure quality improvement, extending patient’s life and providing him/her a better treatment. In his welcome speech the Head of the Clinic for Nephrology Colonel Prof. Dr. Dragan Jovanovic pointed out the fact that since the middle of last century hemodialysis continuously develops, putting its efforts to improve life quality of patients on dialysis as well as to prevent complications which are unfortunately the part of the treatment. The eminent experts coming from different dialysis centers in Serbia presented their lectures on various problems in this medical field and methods of timely recognition and overcoming. The attendees had opportunity to hear the news on hemodialysis technological and biological development in Serbia, advantages of hemodiafiltration, non-dialysis purification techniques, control of water and blood count in dialysis patients, new medications in hepatitis C therapy and acute HD in intensive care units.